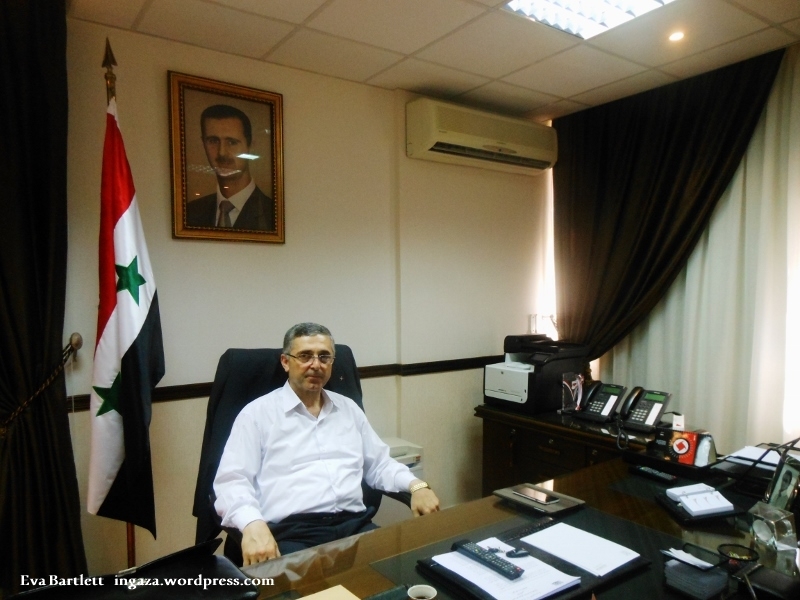 We encourage armed Syrians to cut any ties with the foreign militias. Then, we negotiate with them on how to reconcile. We’ve been very successful, in many areas, having them disarm and go back to their normal lives. We’ve had thousands of successes. 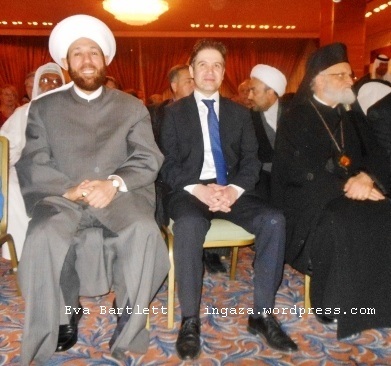 Syria’s Grand Mufti, Dr. Ahmad Badreddin, meeting with our international peace delegation in April 2014. Hundreds of Syrian families have returned home in southern Damascus following a deal between the Syrian government and some militants, Press TV reports. Calm is returning to the strategic areas south of the Syrian capital after a reconciliation deal was implemented between the government and some militant groups. Five-hundred families, who had left the towns of al-Qadam and al-Essali over two years ago following battles there, were allowed by the Syrian government to enter the area and inspect their houses. Humanitarian assistance was also provided by the Syrian army. “We left the town three years ago. We heard about a reconciliation and we hope it works. We will enter to check on our homes,” said one female Syrian. The families gathered on the outskirts of the area and were transported in busses by the Syrian government close to the exchange point. It turned out that some of those entering were families of armed men inside al-Qadam who the government allowed in as a sign of willingness to make the reconciliation work. The armed men were just across the street waiting for the arrival of their families. The fact that civilians have started flocking into al-Qadam signals a positive sign. Nevertheless, only time would prove how successful the deal is. The reconciliation, if implemented fully, would bring back peace to the quarters of al-Qadam, Essali, Bor Saeed, and al-Jorah. Syrian armed men, previously fighting the Syrian army, would join it to fight Takfiri militant groups such as the ISIL. The deal would also secure one of the most important industrial zones in the capital.